The following, listed year by year, covers all the known performances, tour dates, and such like, of Pink Floyd, and the individual past/present members. Simply click on the year(s) you are interested in! If a year is not listed, it means we know of no performance for that year. We also list upcoming shows as they become known (and confirmed). However, these are, of course, subject to change or cancellation. It does not cover dates played by pre-Pink Floyd line-ups (Spectrum Five, Leonard's Lodgers, Abdabs, Sigma 6, Joker's Wild, Hollerin' Blues, etc). 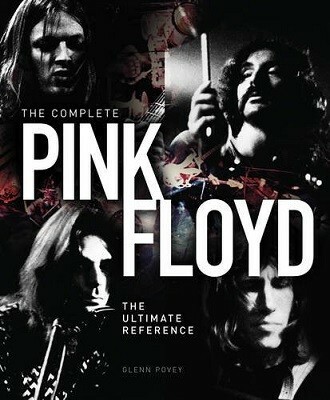 This tour date guide is brought to you with the help of Glenn Povey, author of The Complete Pink Floyd: The Ultimate Reference. For in-depth detail on all the shows below, including setlists, tickets, posters, photos, and more, we recommend this book! It also has full details on all known pre-Floyd concerts, too. It can be ordered through these direct links: Amazon UK, Amazon.com, Amazon Canada, Amazon France, Amazon Germany, Amazon Spain and Amazon Italy. All the Amazon stores will ship the book worldwide. Also, using our Amazon links helps with the running costs of the site and we really appreciate it! If you have proof of any additions or changes that should be made, please contact us. Thank you!